Spanish and Polish templates can be created as well. Ask us for more information how that works. 1. Go to the template tab in the admin panel. 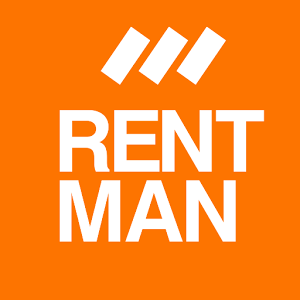 The admin panel can be found in the top right corner of the main Rentman screen. Here you find a list of templates available in your Rentman, each of these templates can be used to create documents like quotations and invoices in your system. 2. To open the template library, click on the template library button on the top of the screen. 3. To add the templates, select all of the templates you would like to add and click on the add button. 4. You should now be able to see the added templates in the template list. You recognize the added templates by looking at the language/country behind them. 5. The country loads basic settings like date notation and currency. Your own country is automatically selected. Open the template and edit the information on the top right side of the template editor to change the country.